Something you may not know about me is my love of donuts. We have an odd tradition of getting Vietnamese food, followed by Krispy Kreme donuts, because they're located close to each other. Richmond, like many cities, has a booming donut economy. That's a thing right? Must be! I love making wacky bags, which has been MUCH easier to achieve with Fairfield OlyFun, because it doesn't fray. I've been looking for a donut bag...you know a bag that LOOKS like a donut, not a bag full of donuts. I know where to get that fix. I found either small dinky bags, and printed tote bags, but nothing big enough for my needs that was donut shaped. This project had been floating around my head for a few months, while I pondered how to make my donut bag dreams possible. It was while actually dreaming...the asleep vs daydreaming sort...I suddenly realized that the new gold OlyFun was the perfect glistening Hot 'N Ready donut color. I decided on icing and sprinkle colors. I was going to add a zipper, but decided an open bag was much easier to make, because circles were tricky enough for most folks. Me not included, but zippers are my arch nemesis. Anywho, by now you should be enticed enough to want to make the bag, but stop reading my rambling story. 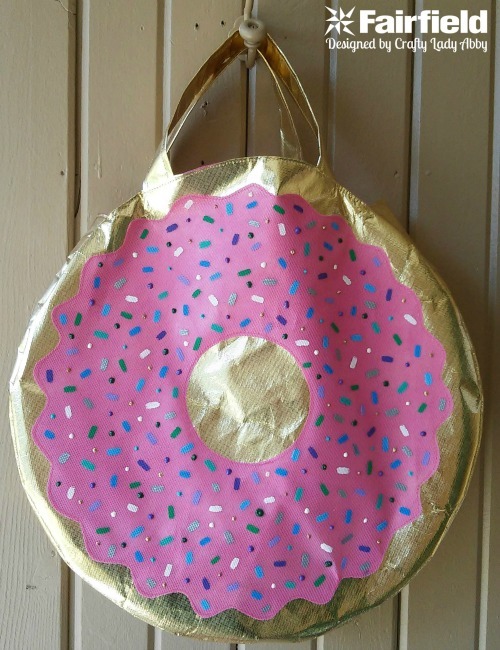 Head to Fairfield World to make this delicious looking OlyFun Oversized Donut Tote Bag. 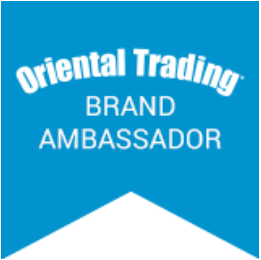 I'm a Master Maker for Fairfield World. They provided me with the OlyFun for this bag, and paid me to create this project tutorial. They love my bizarre creations, and I love working for them, so it's the perfect relationship. 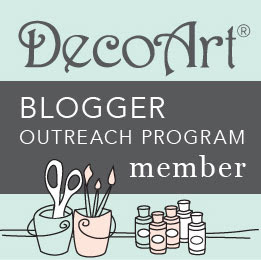 I have a big list of bag, furniture, housewares, wearable, and whatnot projects coming. I'm also teaching twice a week, so I'm like a frantic mouse looking for cheese most days. Speaking of food, time for DINNA!